If you've ever visited LaGrange you know that one of its unique characteristics is the train tracks running down Main Street. Many visitors are surprised to see trains slowly passing through, right in the center of town. The train watching doesn't end in town. 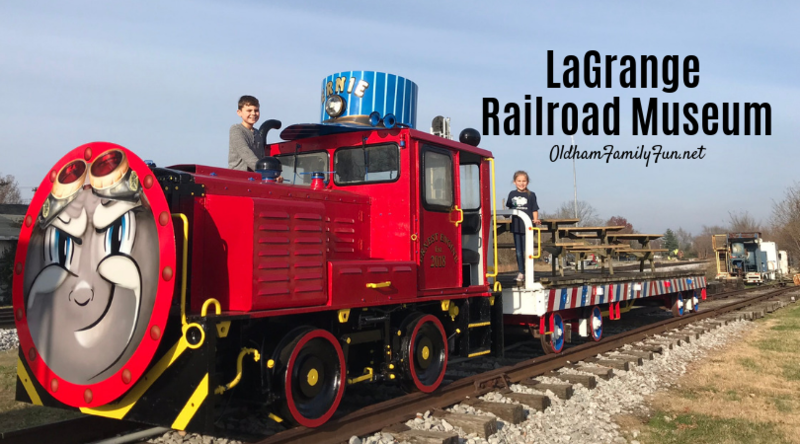 Just down from the stores and restaurants of Downtown LaGrange is the LaGrange Railroad Museum. Located at 412 East Main Street, this small museum is a great place to visit. The museum is open free to the public and ran solely on donations and grants. 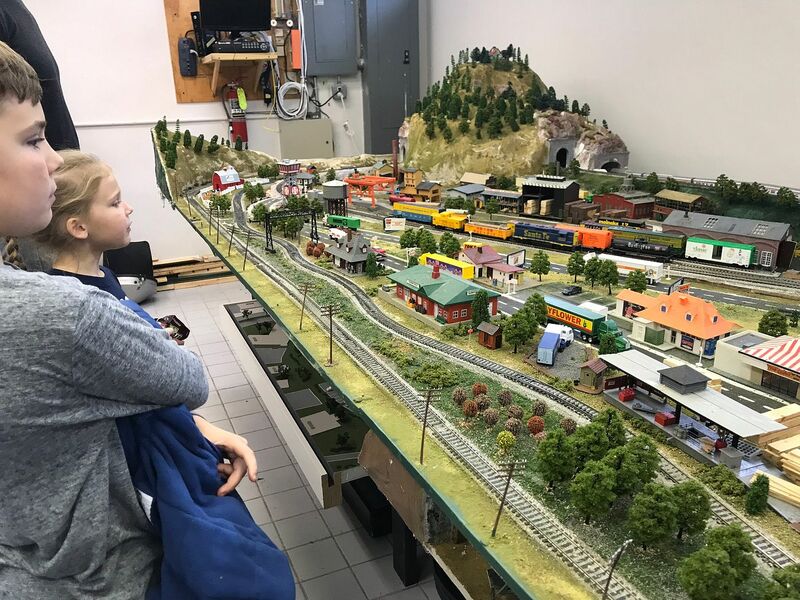 Step inside the old 1910 L&N train depot where there are several model train displays. There is a large room in the basement with several levels of trains running and passing each other along the tracks. The displays have intricate settings and details. Also in the basement are old photos of the depot, tracks and town and old conductor clothing. Ask the volunteer at the museum to show you the train cars outside. 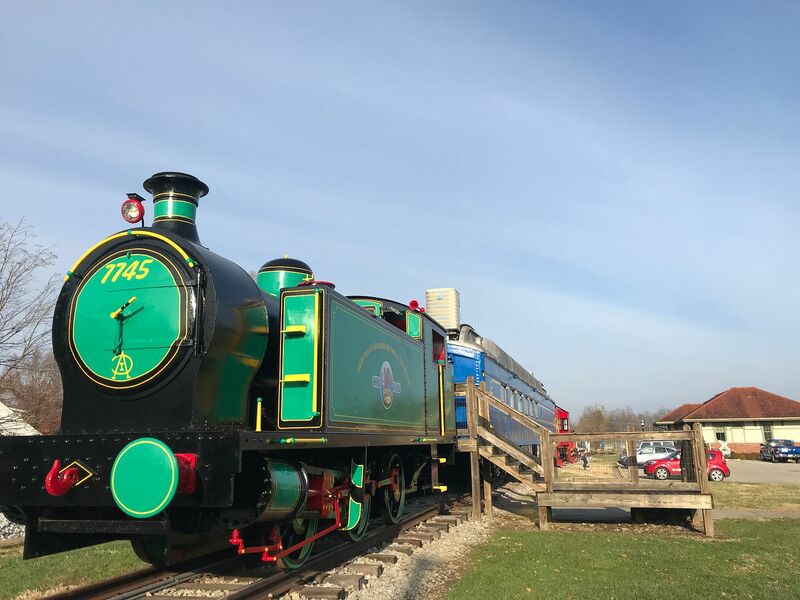 There is a fun new small train car, named "Ernest the Engine," where children enjoy climbing inside to push and pull the different levers. The museum has set up picnic tables on an open car behind it also. There are three train cars, painted with vibrant colors. Our volunteer told us a little history about the train cars and how they reached the Railroad Museum. The 1929 dinner car is available for rent for events. The car has water, several tables and chairs and electricity and is a unique setting for any kind of event. Follow the museum on Facebook to keep up with tour hours and special events. The museum participates in Light Up LaGrange and Oldham County Day. The community is invited to visit Santa in the decorated dining car and see the Cowboy Posse replicate an old western gun fight outside the cars. Another unique train experience is the train viewing deck located on Main Street. It sits between the museum and shops. Try to catch a train coming through LaGrange so you can view it from up high.